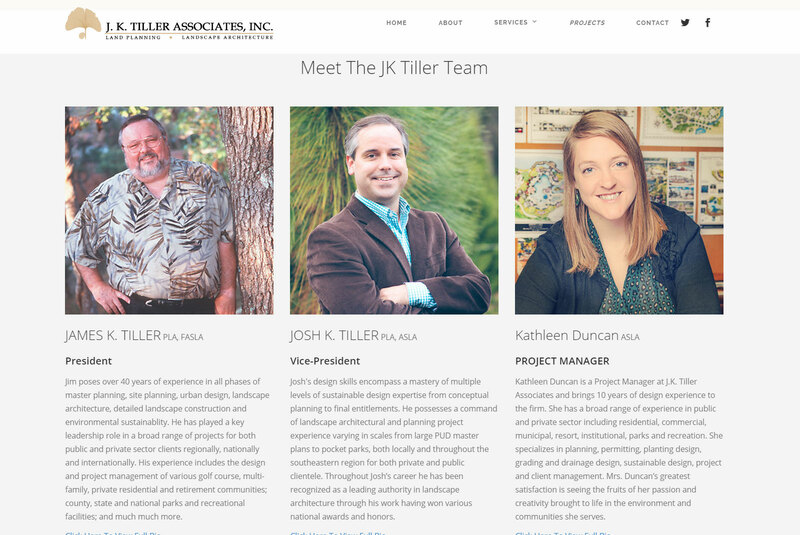 Fifthstory Interactive || Portfolio || JK Tiller & Assoc. This is an ongoing project where we are taking an older site that was designed for smaller monitors and bringing it into a mobile ready world full of large retina displays and monitors. The current version consists of the basic information of who JK Tiller is and what they do, but it was specifically designed to be scalable much like a blog site. This will allow JK Tiller to show off their latest and best work without constantly overhauling the site. 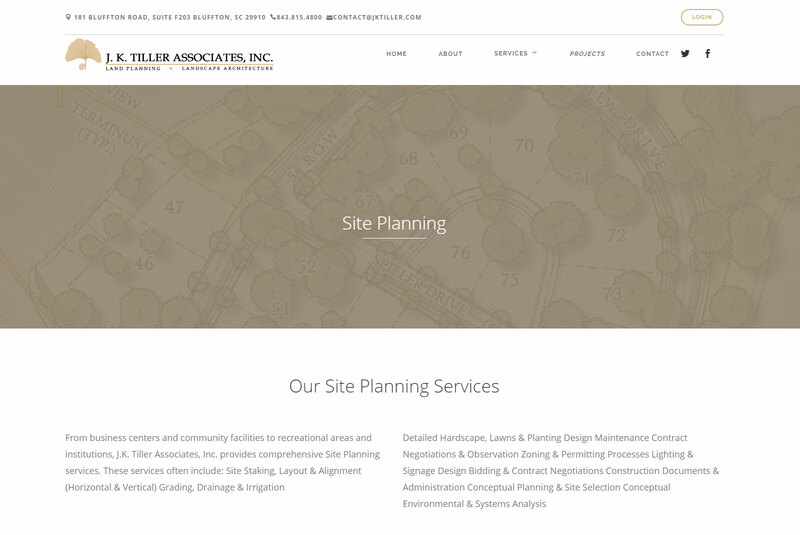 This is a simple homepage that displays some of JK Tiller's work along with their company values and services. 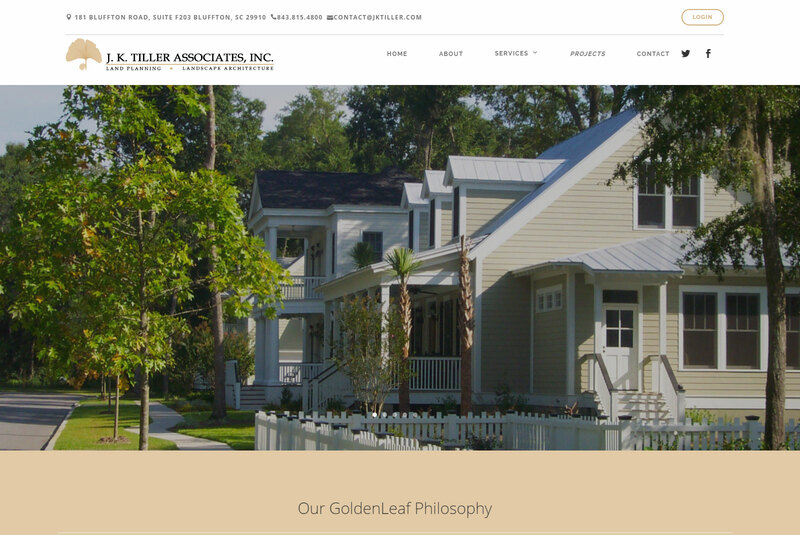 The About page echoes the Golden Leaf Philosophy from the homepage and then let's users meet the team behind the incredible landscape work that they offer. Each service page has an indentical layout to allow the content to speak for itself. 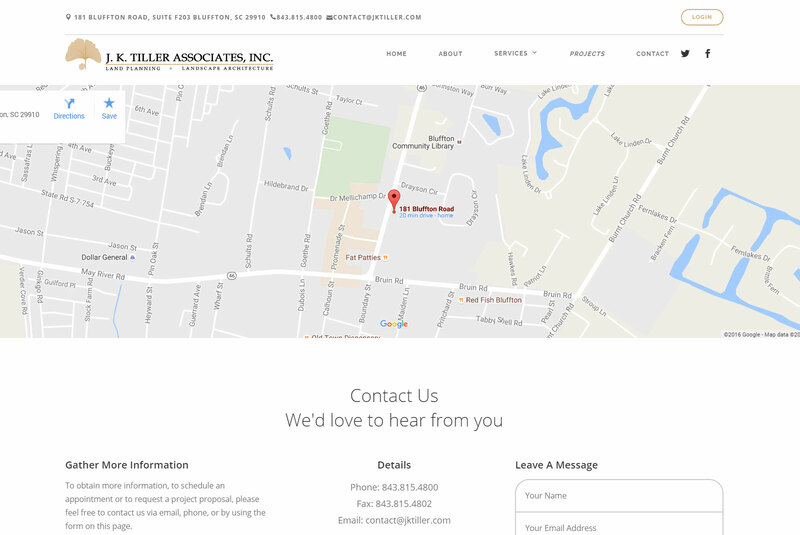 The contact page was designed to give users easy access to the JK Tiller team. The includes a simple Google map, contact form, and basic contact details.